In addition to our community service and education projects, we also offer garden plot spaces where members of the community can grow their own vegetables, herbs, and flowers. Many residents in our area live in apartments or condominiums and don’t have access to outdoor gardening space. Others may have a yard, but may be lacking in sufficient sunlight to grow certain types of plants, especially edibles. Our garden plots are built from sustainable non-toxic cedar lumber and are filled with a topsoil and compost mixture. We ask that all gardeners adhere to organic gardening methods. If you would like more information about our rules or how to apply for a plot, please download our 2011 Member Agreement. 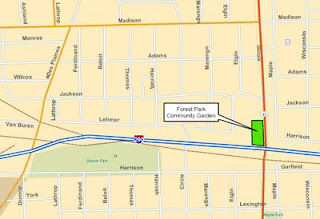 LocationForest Park Community Garden is located at the North West corner of Harlem Ave and I-290. Enter the garden from the alley. ParkingThere is no parking allowed in the alley. Respecting this no parking law is a condition of participation for all plot renters. We encourage you to ride your bike to the park (it’s great exercise and great for the environment!) or secure appropriate parking nearby, and walk to the garden. CostIn order to help us cover maintenance expenses at the garden, we require a plot fee of $30.00 per growing season (April 15-October 31) per plot (plots measure 4 feet by 8 feet). If you would like to plant perennials or garden through the winter, the fee is $30. There is also a security deposit of $15 per plot. Security deposits are refundable at the end of your growing season if you are in good standing per the terms of the Member Agreement. All beds are filled with a mixture of top soil and compost. Gardening MethodsThe use of synthetic pesticides, herbicides, fertilizers and soil amendments is prohibited. If you are having trouble with a particular problem and need ideas on an organic solution, call or email us for help. We have many experienced organic gardeners who will be glad to provide a natural remedy for any problem you encounter. How to Rent a PlotWe currently have a wait list but if you are interested in renting a plot please fill out this form and someone will update you on plot availability. 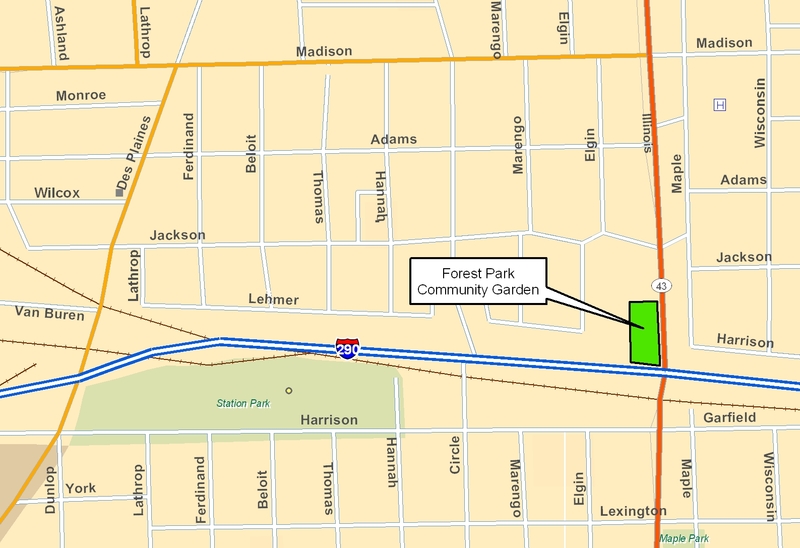 How to VolunteerIf you are interested in volunteering, please email us at fpcommunitygarden@gmail.com or call us at (708) 792-3724. We are currently looking for gardening help as well as help with fundraising. 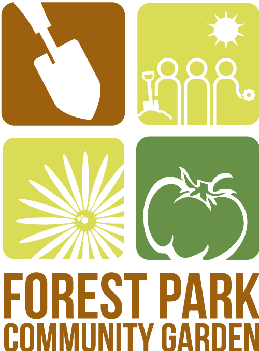 Email your questions to fpcommunitygarden@gmail.com.